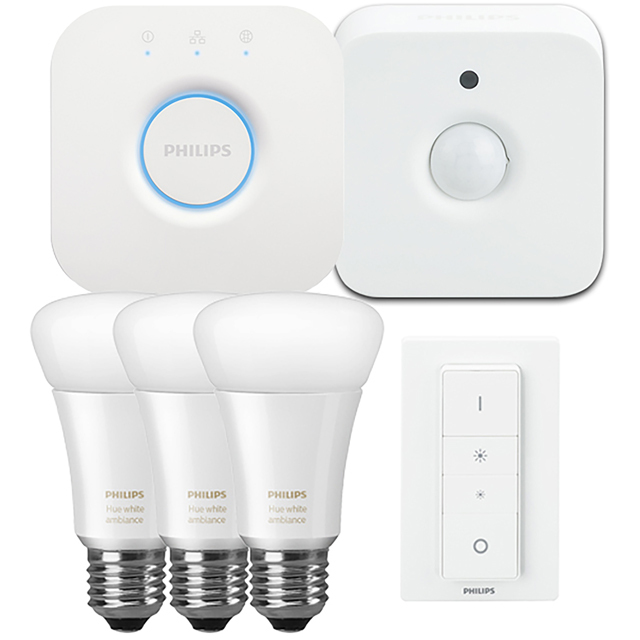 Welcome yourself home with this indoor bundle from Philips Hue bundle. It comes with two screw-in bulbs that you can remotely adjust via the handy companion app on your phone or tablet, switching between cool and warm white lighting. Plus you can schedule a timer so they light up as you’re coming home at night, or with the included motion sensor, they can turn on as soon as you step through the door. And, when you’re trying to set a certain mood, you can adjust the brightness from your device thanks to the dimmer feature.